As a leader in the field of children’s geographies, the Center has had the opportunity to advance the field by convening research meetings and conferences. 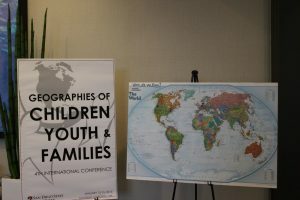 An NSF-funded research workshop in 1998 led to the establishment of the center, and much more recently, in 2015, the center staff coordinated the tremendously successful 4th International Conference on the Geographies of Children, Youth, and Families. The Center hosted the Fourth International Conference on the Geographies of Children, Youth and Families January 12-15, 2015. The conference was a major undertaking and enormously successful. The venue was the Wyndham Hotel in downtown San Diego, and we were delighted to host 180 delegates from 33 countries discussing research in hundreds of locations around the world. This is the fourth in a series of international conferences that began in 2007, in Reading, England, and then moved to Barcelona, Spain in 2009 and Singapore in 2012. It was an international conference in all senses of the word, and it was fully interdisciplinary, attracting academics and practitioners from public health, education, sociology, planning, demography, anthropology, history, child development, literature and, of course, geography. We were pleasantly surprised not only that this iteration of the conference attracted twice as many delegates as past conferences. Over half of those present represented disciplines other than geography, and there were also a significant number of practitioners (e.g. educators, planners, health and social workers) among the delegates. 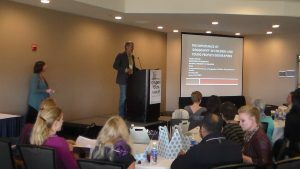 The conference was sponsored by San Diego’s June Burnett Endowment for the well-being of children and families, with additional support coming from the California Geographic Alliance and publisher Taylor and Francis. 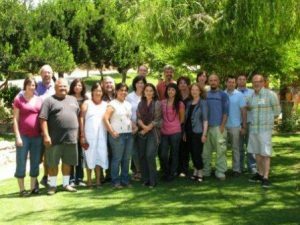 An international research workshop entitled Mapping North American Youth Cultures: Local Settings of Global Lives was held at San Diego State University in August 2008. The workshop was funded by the Department of Foreign Affairs and International Trade Canada under its North American Research Linkages program. The purpose of the workshop was to establish linkages between geographers and other social science researchers in Canada, the US, and Mexico and, by integrating our experiences and ideas, to create a better understanding of how North American children and youth are connected to global economic, social, cultural, and political contexts. Research projects discussed at the workshop addressed, among other topics: international labor migration and immigration policy; globalization of commerce and culture; multi-culturalism and its impact on social practices; implications for young people of family, state, and economic institutions; and the agency of young people in shaping their own futures. Research focused on young people as both dependents and creative agents. This workshop was funded by the US National Science Foundation and was the event that led to the establishment of the YESS Center at SDSU. Drs. Doreen Mattingly and Stuart Aitken served as PIs for the grant, and Thomas Herman coordinated the event. Participants conducted intensive exchanges in workshop sessions, explored Tijuana, and even conducted a neighborhood study with middle school youth. Several publications grew directly out of the presentations given by workshop participants.